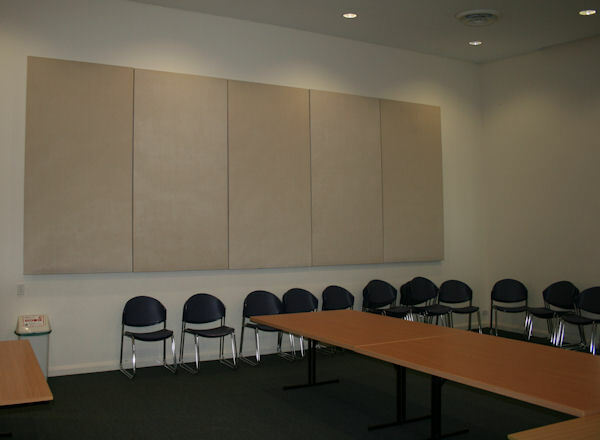 The acoustics at Port Macquarie Library Meeting Room have been greatly improved by the installation of new soundproofing panels. The room has been plagued by sound problems since the library opened. These problems have now been resolved by the installation of the panels. Traffic lights are being currently installed on the corner of Gordon and Grant Streets. We apologise for any inconvenience this work may be causing. This intersection has been identified as being dangerous by the RTA and the new traffic lights should make it easier for cars to turn into Grant Street and for pedestrians to cross Gordon Street. Grant Street needs to be widened for the lights to be installed and consequently some parking spaces will be lost. As yet we don't have a completion date for this project. **Please note** that Port Macquarie-Hastings Library Service is currently having problems with our email service. Any emails sent to portlib@uunet.com.au will not go through - please use portlib@mnclibrary.org.au from now on. Thank you. With the July school holidays fast approaching, you may be looking for something to keep the children or grandchildren amused. Port Macquarie-Hastings Library is offering a number of activities to suit most age groups including poetry and creative writing workshops as part of the FreshArt Festival. Click here to download the full schedule. Kempsey Shire Libraries are also offering a range of activities for all ages - download the schedule here. As places are limited please remember to book in asap! On the very last day of the financial year the number of items issued by the the Mid North Coast Library Service passed the million mark for the year. This was the first time that we have achieved this. To celebrate this fact two lucky borrowers from Port Macquarie and Kempsey Libraries were presented with a special certificate and a gift. 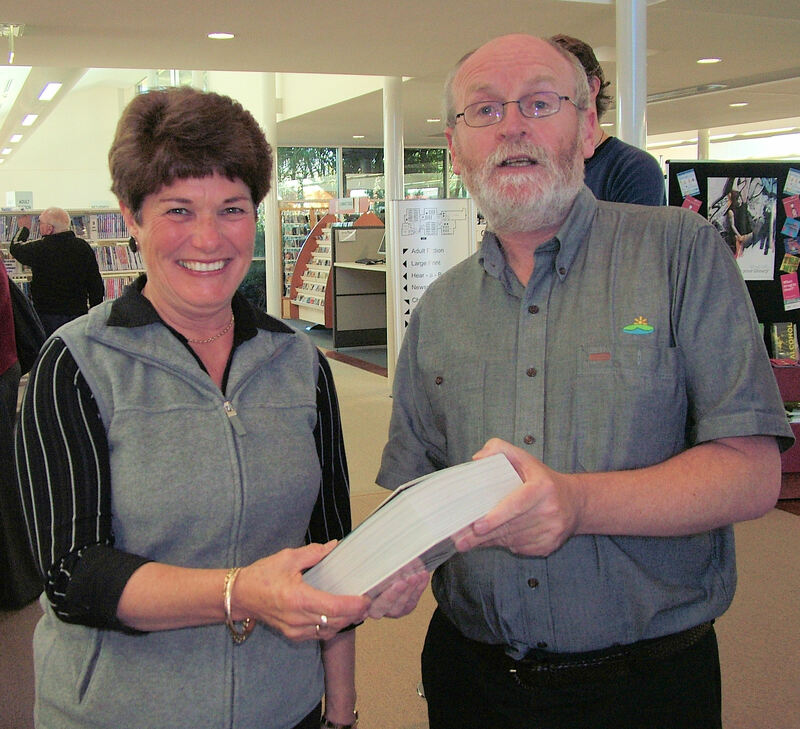 Below is a photograph of Margaret Rock receiving a copy of "1001 books to read before you die" from the library manager at Port Macquarie.